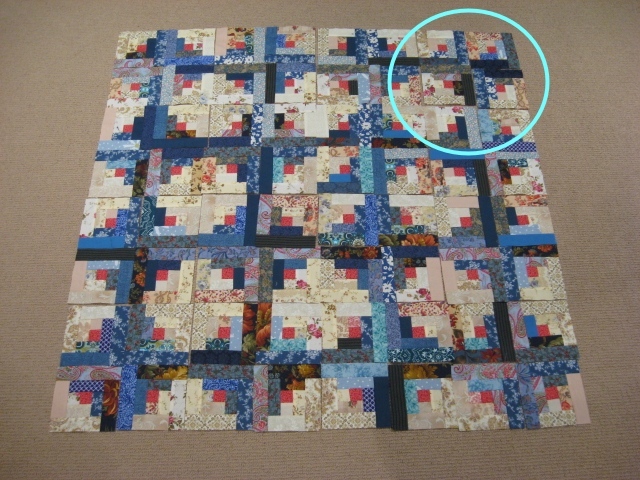 This entry was posted in Journal and tagged log cabin, scrap quilt. Bookmark the permalink. I’ll take another look at Barn Raising. Right now I’m fully occupied adding another circle of logs around my 64 blocks. It’s a slow process. I really like the sunshine and shadows – but a lot depends on what you have planned in the boarder. I will be really interested to see how you finish this. 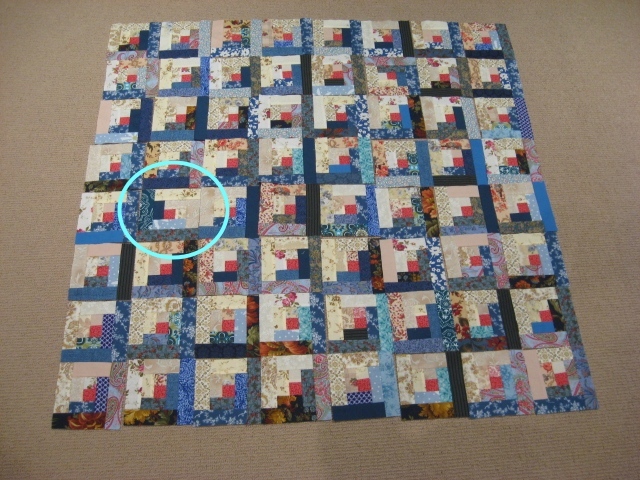 I must confess that I don’t really have a plan for the border at this stage. The two ideas I’ve been kicking around are a single narrow border (say 1 inch) in a navy blue small print or no border at all. 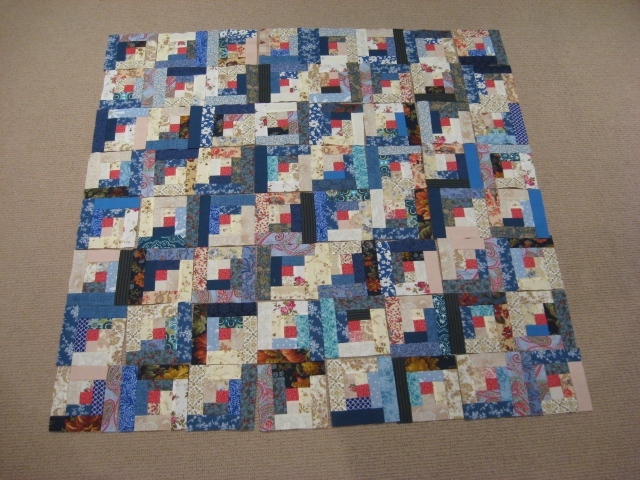 I was planning to audition a few fabrics once I have the blocks together.